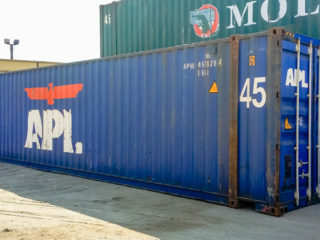 Extra Long Containers | ContainerWest Manufacturing Ltd. 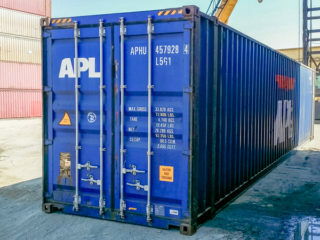 The longest containers available (and transportable) are used 45 ft and 53 ft containers. 53 ft long containers are also an extra 6” wide, providing over 60% more internal storage capacity than a 40 ft standard height container. These containers are specifically designed for truck & rail transport, and are typically retired from the rail lines after at least 10 years of use. They tend to have less corrosion than a typical used container, as they spend less time at sea. Features on these units sometimes vary, and aluminum is sometimes incorporated into the construction. Popular for the storage of extra-long items, or as a practical alternative to buying a 2nd container if your storage items won’t fit in a 40 ft container. Available in limited quantities and locations; please contact us for availability and pricing. Sealed and welded construction – wind & water tight, rodent proof.